Behold – my first shorts outing of summer! I cannot believe how amazing the weather was last week – it even took the pain away from the lack of Metrolink we’ve got going on right now. There are worse things than a walk across Manchester centre in the glorious sunshine, right?! Here’s hoping for some more of that this summer. Anyway, this billowing lace-neck H&M blouse is my new favourite summer item. It is just perfect with denim, whether it’s with regular daytime jeans for work or these cute lace-trim shorts for summer picnics. 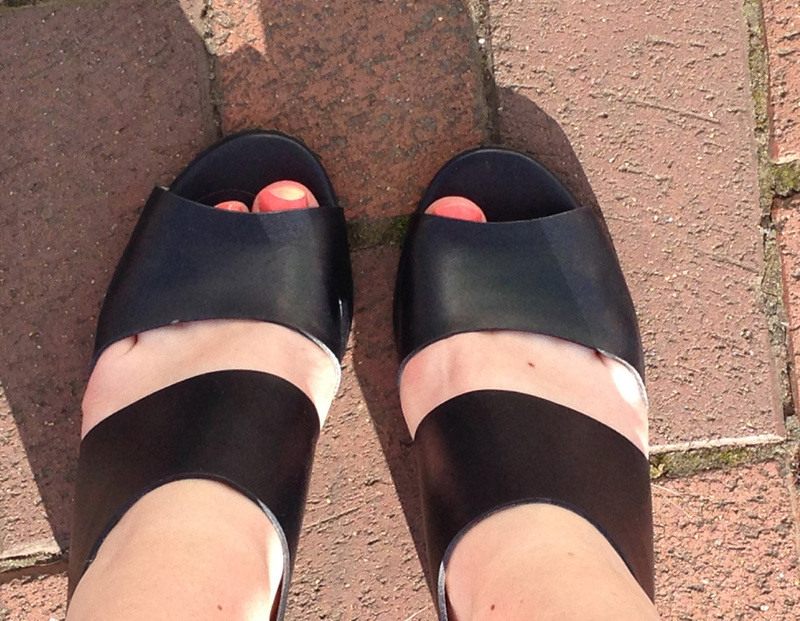 And I’ve just realised that this is the first time I’ve featured these chunky sandals from Hobbs in a post. They’re funky yet classic, so basically a winner! Blouse from H&M; denim shorts from Simply Be; Sandals from Hobbs (snakeprint still available); sunglasses from Fossil.